Porzellantreff.de is an online shop of porcelain, glass, ceramic tableware and cutlery from Germany with top European brands such as Villeroy & Boch, Rosenthal, Rosenthal Versace, Wedgwood and Le Creuset. For each porcelain brand you can use one of our Porzellantreff Coupon from bellow list. The experience of this store is over 15 years, meaning it has sold ceramic items in Germany and around the world to more than half a million buyers. Because they are one of the largest pottery stores, on average, prices are lower by 20% when using a porzellantreff.de discount coupon. Ceramic, porcelain, glass, ceramic tableware and cutlery products are delivered worldwide by courier directly from Germany. For better communication with customers, both the online store page and online support are in English, German and Russian. 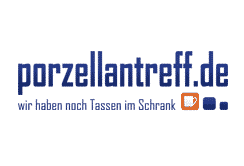 A porzellantreff.de coupon can be used for any of the 125,000 products permanently in stock. Online shopping can be paid by credit or debit card, VISA, Mastercard, Maestro or JCB via bank transfer or PayPal.